This book was such a fun and quick read. 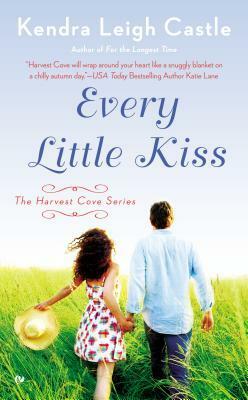 I loved being in the town of Harvest Cove and I enjoyed getting to know both Emma and Seth, our main characters. They both had some baggage to deal with and I'm glad that they told each other (eventually) what they were. Towards the end, there was a big "aha! moment that I saw it happening from a mile away. I didn't really like it but I can appreciate how it didn't drag on unnecessarily. I enjoyed getting to know the characters, both Emma and Seth, and the secondary characters, such as Emma's sister Sam, Zoe, and a few others. I really want to go back and read Sam and Jake's story, as well as Zoe's' and the others. Kendra managed to hook me into the appeal of Harvest Cove. So if you're looking for a fun, quick, and fluffy romance, I'd definitely recommend this one.